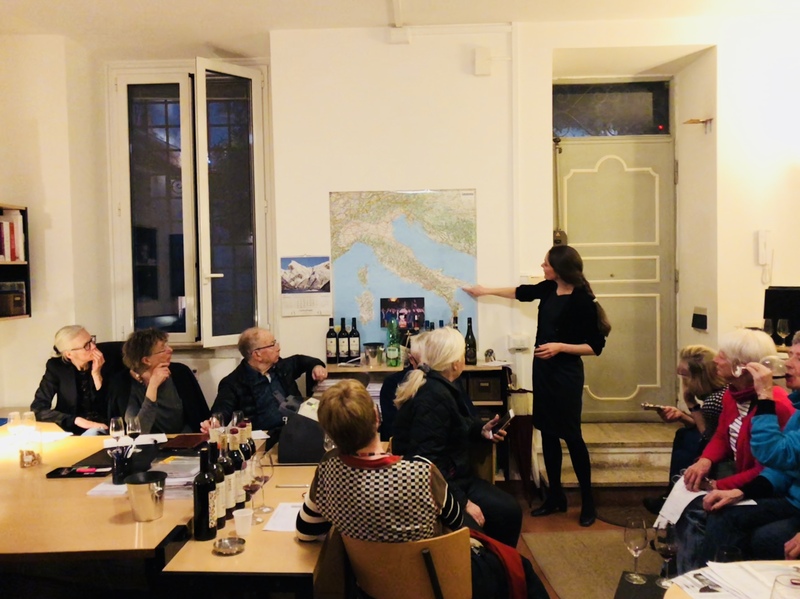 This October 9th, Litta Larsen hosted a wine tasting in Enoteca Ferrara in Trastevere, in the heart of Rome, for De Angelis Viaggi Agency. Seventy participants tasted four red wines as expressions of the main Italian grape varieties and wine regions: Corvina from Veneto, Sangiovese from Chianti Classico (Toscana), Montepulciano d’Abruzzo and Barbera form Asti (Piemonte). The aim of the tasting was to show the diversity of Italian red wine and how each wine tells a story about the area of origin. 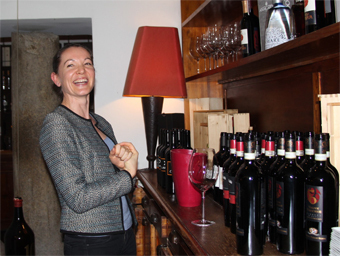 This March 16th, Litta Larsen hosted a blind tasting at the Agenzia Larsen office in Trastevere, in the heart of Rome. Sixteen members of the Danish private club SPQR Romsselskabet tasted four wines: Chianti Classico, Montepulciano d’Abruzzo, Barolo and Luigi Righetti Amarone Capitel de Roari. 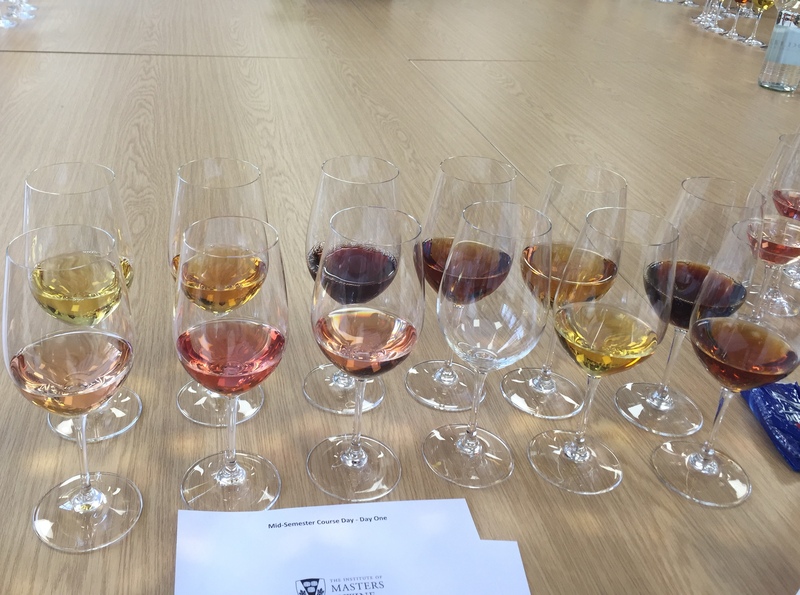 While discussing the rich history of grape varieties Sangiovese, Montepulciano, Nebbiolo and Corvina, Litta Larsen guided the tasters to discover the colour, nose, palate and particular character of each of these wines. 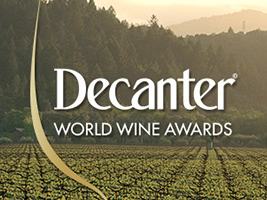 - Litta Larsen was invited as a judge at Decanter 2017 competition, the world’s largest wine competition with over 17,000 entries in 2017. - 219 expert judges from around the world were invited, including 65 Masters of Wine and 20 Master Sommeliers. - Judging is organised into categories, based on region. The judges blind taste wines individually, then they compare notes on the wine and reach a consensus on each wine’s medal. 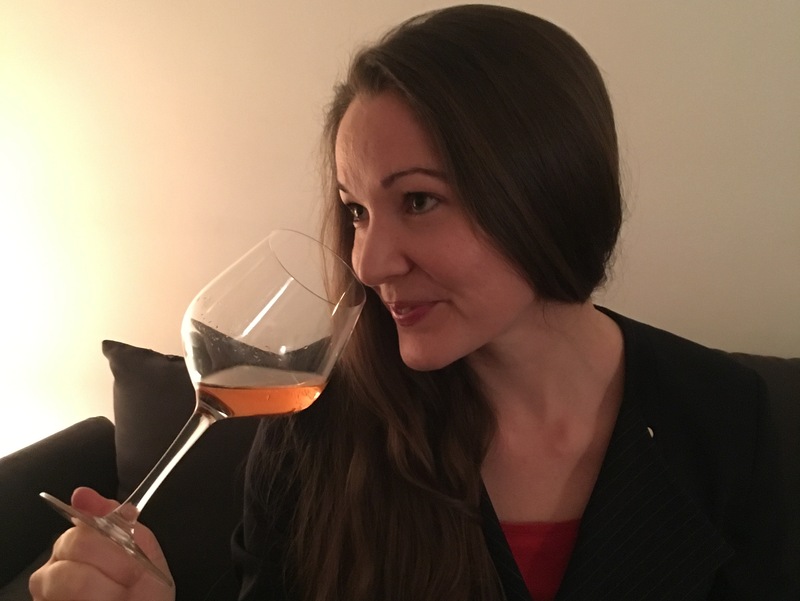 In the most recent issue, Norwegian magazine SnakkOm published an interview with Litta Larsen, Master of Wine student and minority partner in Agenzia Larsen. Litta Larsen discussed the link between different Italian grape varieties and the rich history of each geographical area: “Grapes like Timorasso in Piedmont, Pecorino in Abruzzo / Marche, Tintilia in Molise, Oseleta in Veneto means wine never gets boring. There is always a new taste experience and wine story just around the corner.” Following her recent lecture in Norway on the topic of “Vino & Salute” (wine and health), she comments on relation between wine and healthy lifestyle, in particular on substances in red wine that have health benefits, in addition to the enjoyment of wine and related social interaction. 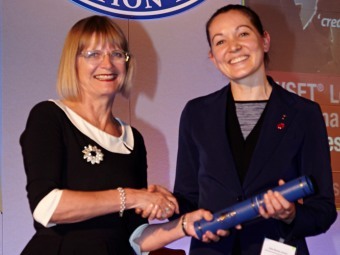 In July Litta Larsen, partner at Agenzia Larsen, successfully passed Stage 1 Assessment to become a member of the Institute of Masters of Wine (IMW). The exam involved one 12-wine tasting paper and two essays and gives access to Stage 2 of the IMW study programme. The Institute of Masters of Wine is a professional body with an unsurpassed international reputation, and Masters of Wine (MWs) hold the most prestigious title in the world of wine, having proved their understanding of all aspects of wine by passing the Master of Wine (MW) Examination, recognised worldwide for its rigour and high standards. In the January edition of Danish magazine Søndag, Susanne Larsen, owner and founder of Agenzia Larsen, gave an interview about the wine business, her company and life in Rome. The article warns that reading this piece about three Danish women living and working in Rome may inspire the readers to move their life around and travel more. 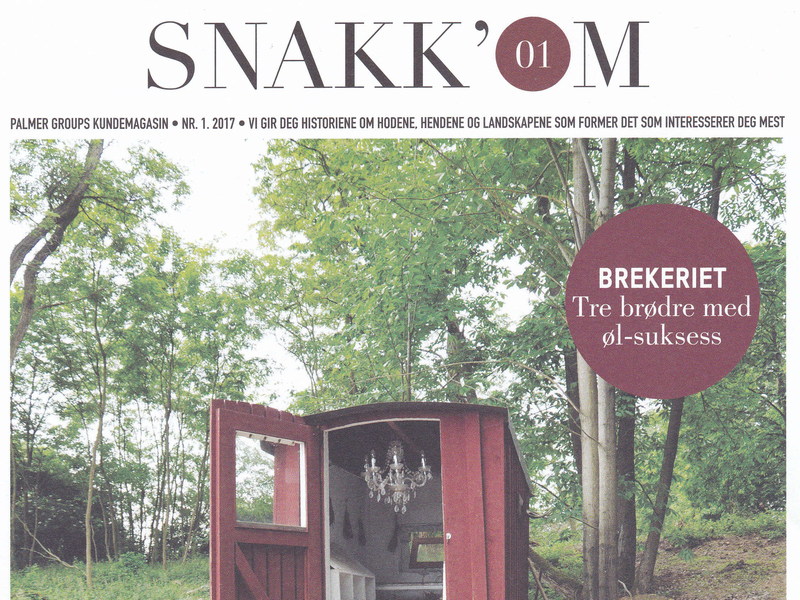 Susanne Larsen shares with the readers of Søndag: “I am not the kind of person who stays at the same place for more than 30 years, but I must admit life is good down here, and has treated me well. I have been lucky.” Her daily routine is more Italian than Danish, with an easy go for lunch at home across the courtyard from her office and a glass of wine in the evening after work. “With so much good wine, a glass of wine in the evening is a fundamental part of the culture”, she says, “This way wine is part of a healthy wine style”. In January 2014, Litta, minority partner in Agenzia Larsen, participated at the Awards of Excellence in the Guildhall of London. 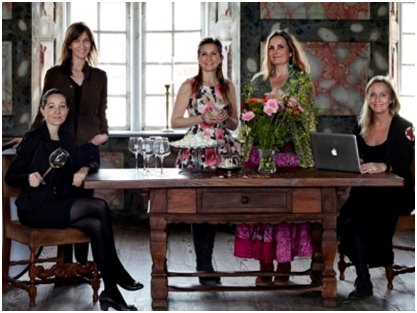 As part of the yearly ceremony, she received her Diploma from MW Jancis Robinson together with the other graduates 2012-13. It was an honor for Litta to meet with her idol Jancis Robinson. “Kogebog fra Kongernes Nordsjælland” translates “The Danish Kings’ Cookbook” and is the title of a book published by Vibeke and Ulrikke Gercke. The cookbook is a journey around the beautiful castles of northern Denmark and each castle is related to mouth watering recipes. The style is “Nordic Noir”: at the same time elegant and rustic, warm and freezing cold. Litta Larsen, minority partner in Agenzia Larsen, is providing wine guidance to each of the recipes. Litta Larsen is a Sommelier from Vinakademiet and has the Diploma from the Wine and Spirit Education Trust in London. One of Denmark’s leading newspapers “Jyllands Posten” wrote an article about Susanne and Litta Larsen. Susanne is the owner and founder of Agenzia Larsen and her daughter Litta Larsen came into the company as a minority partner in 2012. 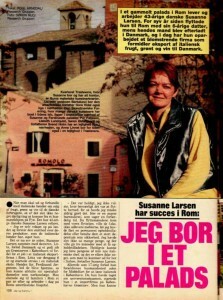 This article, published in 1994 by Ude og hjemme, is about Susanne Larsen and how she achieved success among the export industry in Denmark with her company Agenzia Larsen. “Danish Susanne Larsen lives and works in an ancient palace in Rome. She moved to Rome seven years ago with her 6 year old daughter. Susanne established a thriving company, exporting fruits, vegetables and wine from Italy to Denmark”.